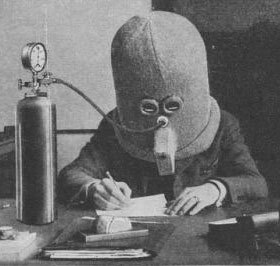 The image above is of a man in a very bizarre looking helmet, with an oxygen tank attached. Is it cosplay? an astronaut? 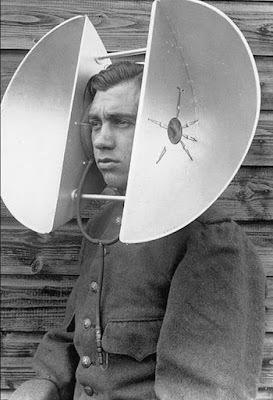 or maybe underwater gear? Nothing that cool. 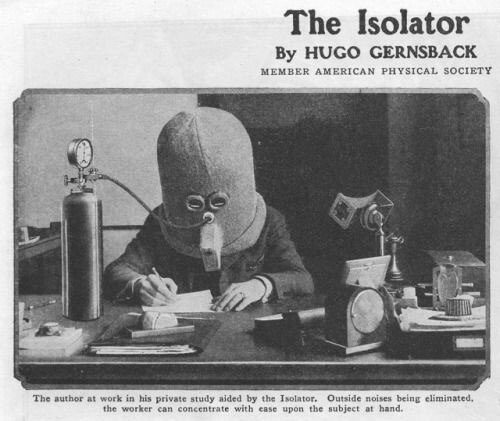 This happy little device is called, "The Isolator" invented in 1925 by Hugo Gernsback to eliminate noise. Yep, that's right, if you are sitting at your desk right now at work trying to concentrate on reading this and having trouble, it's a good time to slip one on and focus. It was ahead of it's time indeed, because in 1925 they didn't have nearly the amount of distractions that we have today. The only problem I can think of is that while wearing it, I probably wouldn't get much work done anyway because I would be constantly checking my oxygen gauge to make sure it didn't run out. Death by suffocation at your desk is not fun. We all know that technology has shrunk in size over the years, the chart above confirms that, but what about technology that was ahead of it's time? 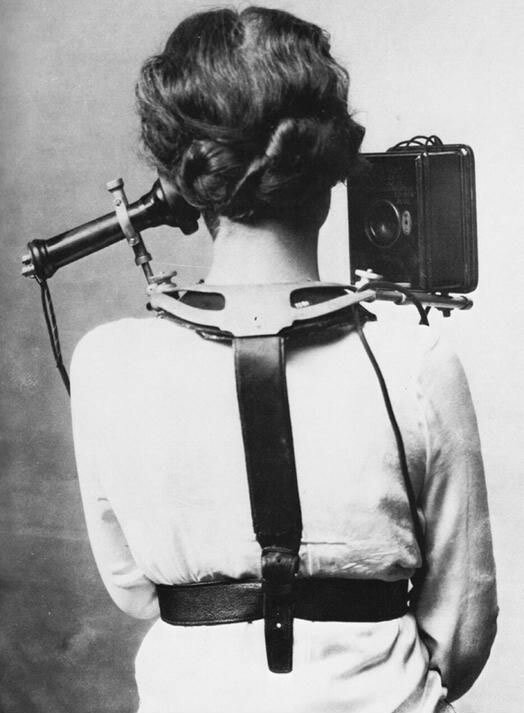 Smart Phone Circa 1880, this early switchboard operator hardware weighed 6 pounds. Prototypes, a series of sculptures made in the ’60s by Walter Pichler, explore the overlap of architecture/design/sculpture. 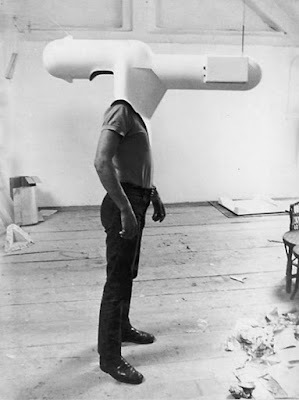 The materials (polyester, Plexiglas, PVC, aluminum, inflatable elements) used by the Austrian artist were new at the time. The idea is there, and it's solid even if it looks weird. 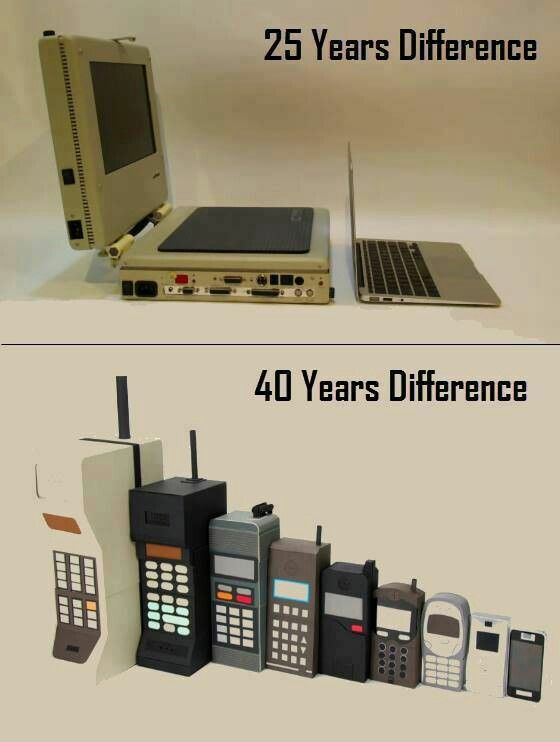 But think about augmented reality glasses, Augmented Reality Smart Glasses or your portable smart phone today. Video-on-demand had it's price in 1967. 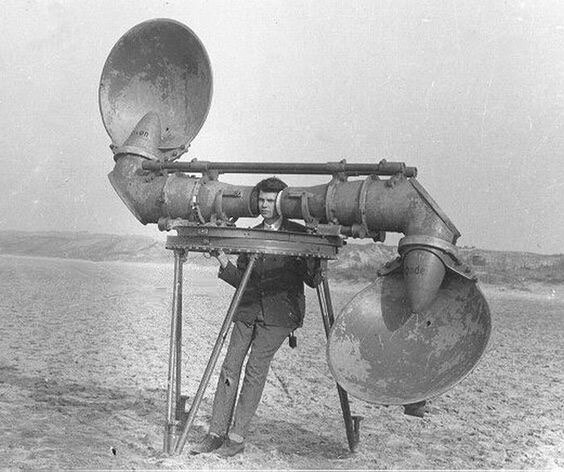 Vintage Sound locator's are strange, and they came in a whole range of different sizes. 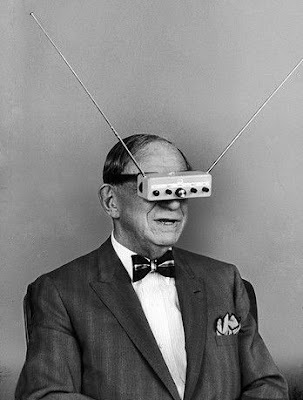 Hugo Gernsback wearing his "teleyeglasses" in 1963. Yep, he's back with another invention ahead of it's time. This is pretty impressive seeing how Virtual Reality Headsets Virtual Reality System are just now really starting to pick up steam, to be practical. 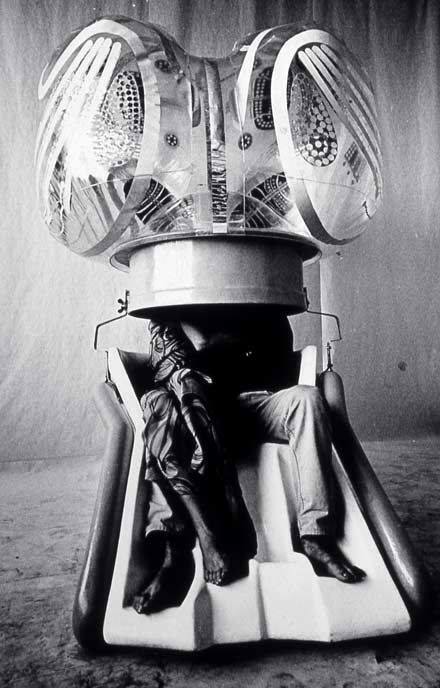 The Mind Expander allowed two people to isolate themselves from their environment and enter in spiritual communion with each other... The Mind Expanding Program aimed to explore the inner world, and to improve the psychological capacity of those who took part in the individual elements, as well as those who witnessed them in some way. The moral to this story, is that if you have an idea and it sounds really wacky, it might be today, but not tomorrow.